Grace Lutheran Kelowna – Welcome to Grace in Jesus' Name! Welcome to Grace in Jesus' Name! At Grace we believe the whole purpose of Jesus’ ministry was, is and always will be to transform us from ordinary people into something extraordinary – children of God. Jesus worked this change by His birth, ministry, suffering, death and resurrection. We believe that this transformation occurs when we hear the Gospel of our Lord Jesus in worship and study. We come to see who we really are, who Jesus really is and how much we need Him in our lives. We believe that when you add the words of the Gospel to the water of Baptism, a transformation occurs. We believe that when we consume the bread and wine of Holy Communion in faith, a transformation occurs. All these are means of grace, when God comes to us and works miracles in us; the miracle of faith in God, the forgiveness of sin and eternal life. We believe that because we have faith in God the Father, Son and Holy Spirit we can endure our struggles and overcome them. With faith in God we can have peace and joy in our lives and can spread the peace and joy to others. At Grace, we believe that Jesus welcomes us as we are and transforms us into the people He wants us to be. If you feel something is lacking in your life, come worship with us, come be transformed with us. The best part of your life may be just around the corner! © Grace Lutheran Church Kelowna Grace Lutheran Church is a member congregation of CALC and LCMC. 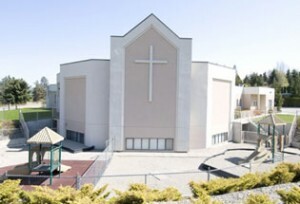 Copyright © 2019 Grace Lutheran Kelowna. All Rights Reserved.